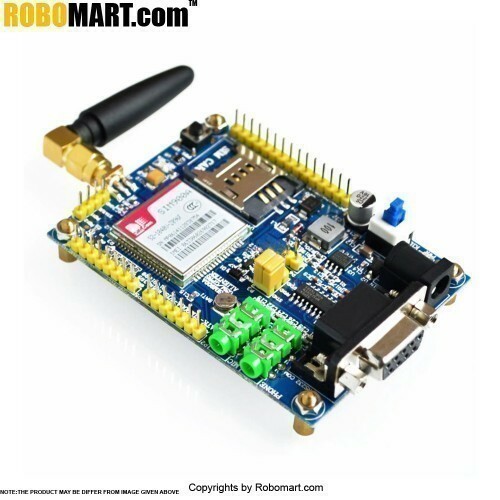 The GPRS Shield is based on SIM900 module from SIMCOM and compatible with Arduino and its clones. 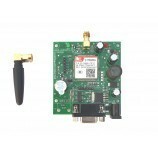 The GPRS Shield provides you a way to communicate using the GSM cell phone network. The shield allows you to achieve SMS, MMS, GPRS and Audio via UART by sending AT commands (GSM 07.07 ,07.05 and SIMCOM enhanced AT Commands). The shield also has the 12 GPIOs, 2 PWMs and an ADC of the SIM900 module(They are all 2V8 logic) present onboard. 1. Quad-Band 850 / 900/ 1800 / 1900 MHz - would work on GSM networks in all countries across the world. 7. Control via AT commands - Standard Commands: GSM 07.07 & 07.05 Enhanced Commands: SIMCOM AT Commands. 8. Short Message Service - so that you can send small amounts of data over the network (ASCII or raw hexadecimal). 9. Embedded TCP/UDP stack - allows you to upload data to a web server.